Smaug has been defeated, the Battle of Five Armies has been won, and Bilbo has returned to the Shire. The War of the Rings is still a generation away, but much danger still remains. 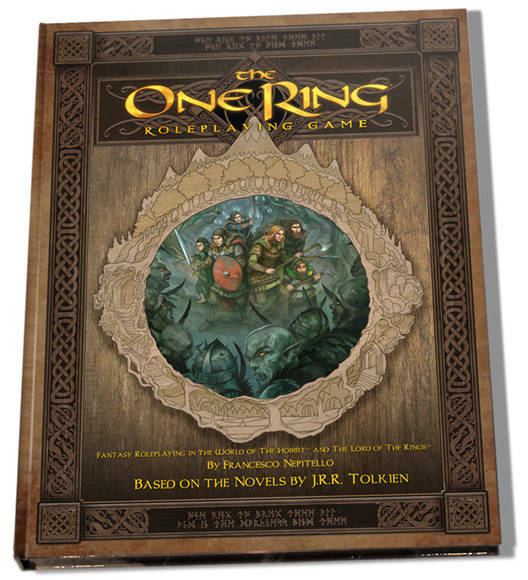 The One Ring - Adventures Over the Edge of the Wild is a new roleplaying game based on J.R.R. Tolkien's fantasy classic, The Lord of the Rings, and set after the events chronicled in The Hobbit. 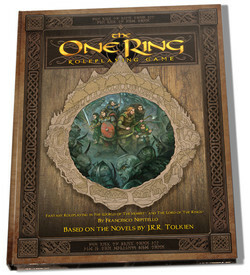 This revised edition features clarified rules and new art by John Howe.